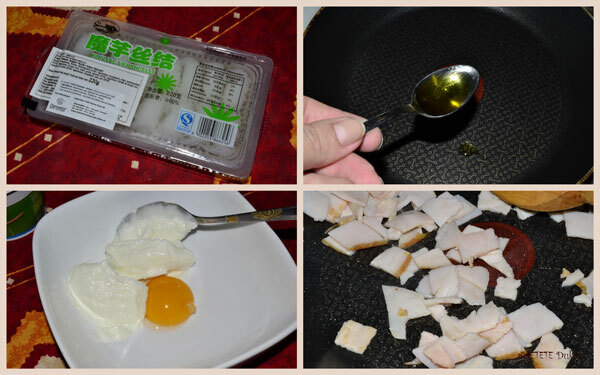 Dukan allows us to eat pasta, but only shirataki konjac. 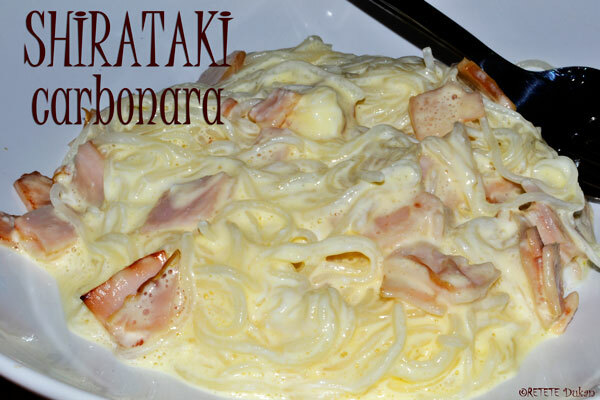 Today I propose you to try some carbonara pasta. Remove the pasta from the box first (as they are already in water) and wash them in water for 2-3 times. Boil them for 5-10 minutes. Meanwhile “fried” turkey ham chopped into a non stick pan. If you are on the Cruise Phase or Consolidation you can use 1 tbsp of olive oil (allowed from Cruise phase). 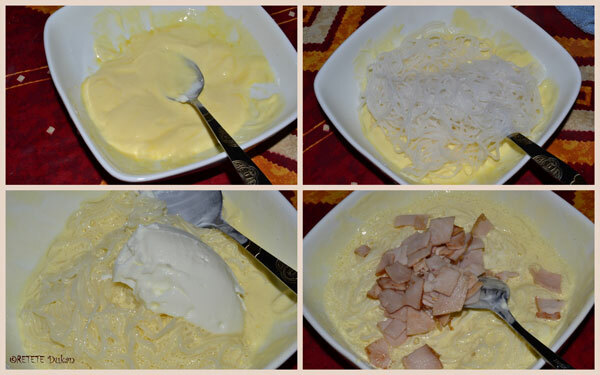 In a separate bowl mix the egg yolk with the cheese until smooth. 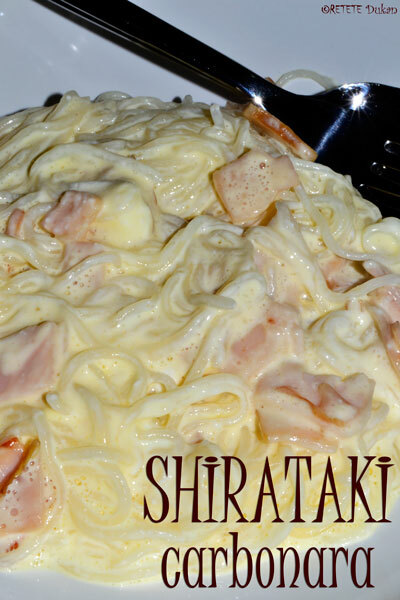 Take the cooked pasta and mix it with the egg yolk and the cheese. Finally add the turkey ham and continue to mix. Season with salt and pepper and eat them warm itself.